There is a reason Kemper® is one of the nation’s oldest cabinet companies. Our commitment to consistently deliver on the high expectations we set for ourselves has kept our customers loyal and growing strong. Count on the Kemper family to provide the well-built products you expect and the style you want at a range of prices to fit your budget - all backed by the reassurance of a limited lifetime warranty. Well executed, even the most basic design is strong and timeless. 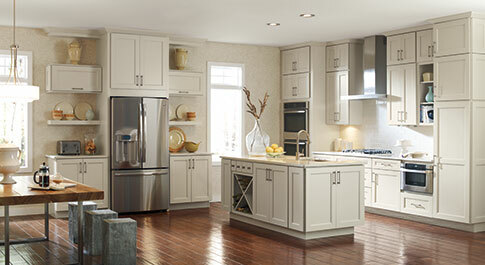 Sturdy and attractive, cabinetry from the Echo Series covers the style essentials while allowing room for the extras. There is more to a well-thought-out kitchen than the right finish choice. Make sure your space functions as it should with solid, built-in storage options that work in harmony with how you live, available from the Kemper® Choice™ Series. Details matter. So does product integrity. Build a look that tells your story authentically with the substantial color offering and cultivated door constructions of the Kemper® Emerge™ series. 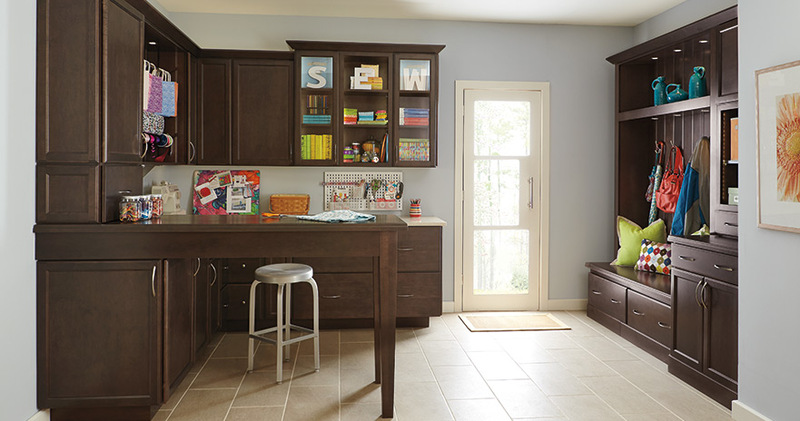 Imagine a space that becomes your creative outlet and keeps your life organized - this drop zone meets sewing and craft nook accomplishes both. Use Kemper® cabinets to create a similar look in your home! 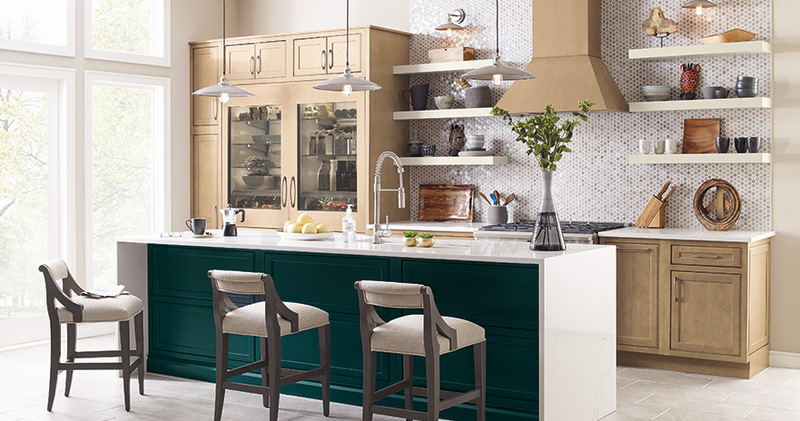 Boasting a multitude of colors, textures, and materials, this kitchen is a feast for the eyes. Techniques such as pairing an on-trend finish with a bold color and utilizing open shelving and glass front cabinets creates a truly inspiring space. There is a reason we have been in business so long at Kemper. We listen to and value what our customers have to say, and we also believe you can benefit from their feedback during your cabinetry selection process. Take a moment and see for yourself what our customers are saying!